A country western wedding is a charming and fun way to add some rustic elegance to your day and reflect your own backgrounds or personality at the same time. The way you decorate your wedding will ultimately determine the amount of elegance in the wedding itself. Though you should incorporate the country western flare, you need to be careful just how much you do; otherwise you may look like you are hosting a line dancing class, versus a wedding. The way your bridesmaids and groomsmen dress can set the entire tone of the day. Have the bridesmaids where summer-style gowns and horseshoe necklaces. Dress up the groomsmen in casual tuxedos, but pair a flashy belt buckle with the outfit. 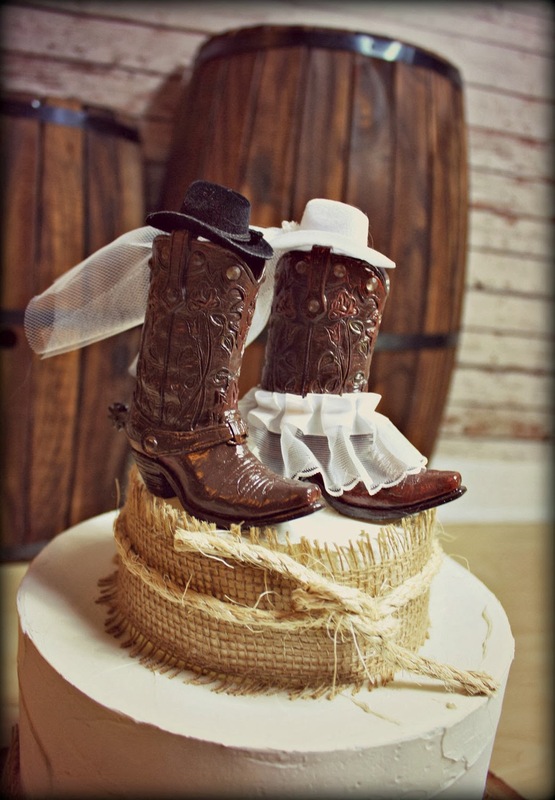 The venue for a western wedding needs to be chosen carefully to represent the style of this theme. Naturally, a ballroom or night club would not pair well with a country theme. 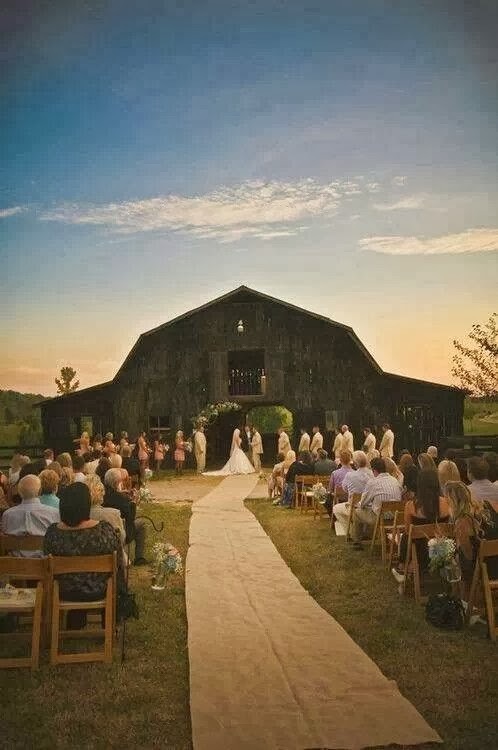 See if there are old barns that rent out space for weddings. If not, find a garden or farm and use tents for your dance and eating areas. Just like the event center and attire, the decorations will finish off the entire western feel. Use rusted wheels, old lanterns, and even watering cans for centerpieces. Try to incorporate western flowers such as sunflowers, daisies or hydrangeas. 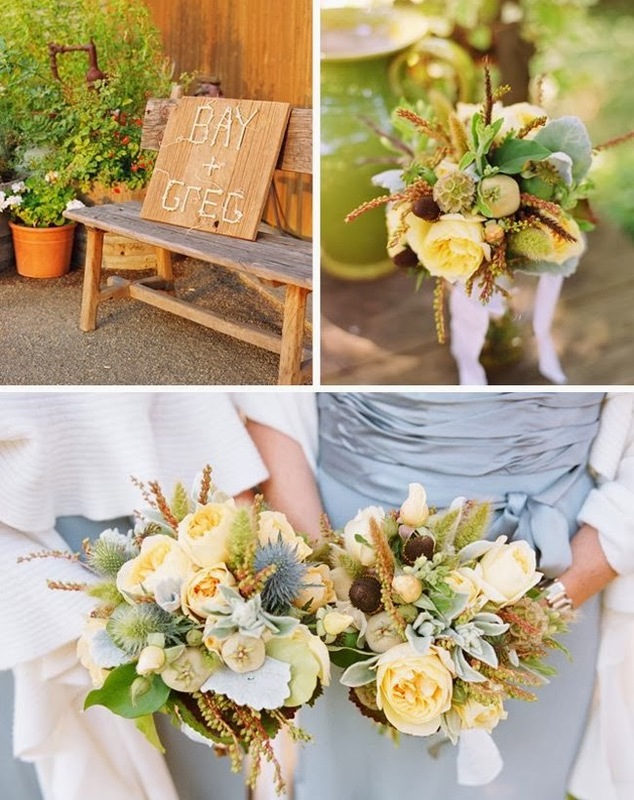 Use hay, grass blades, and dahlias as filler flowers. Avoid using checkerboard or striped tablecloths if you are going for a more elegant look. Stick to solid colors such as brown, red or white. 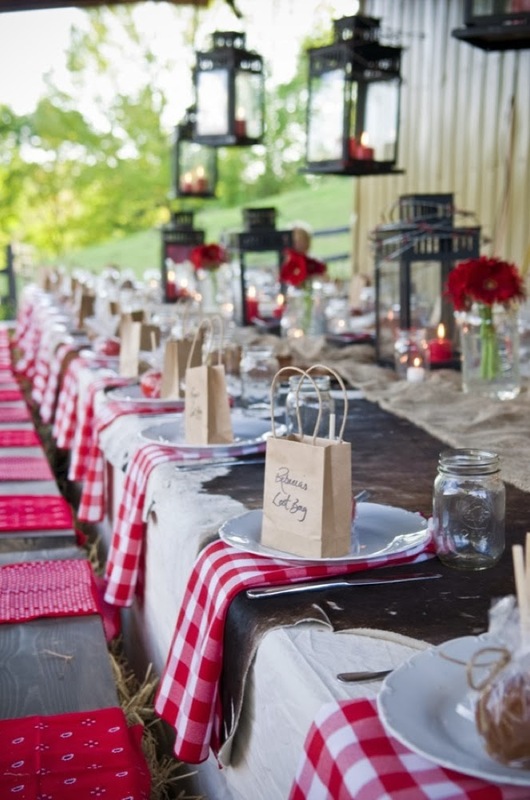 Accent your tablecloths with striped or dotted cloth napkins. To some people, food is the most important part of a wedding. People that come to your big day are there see the beautiful bride, listen or participate in the ceremony, eat and celebrate. 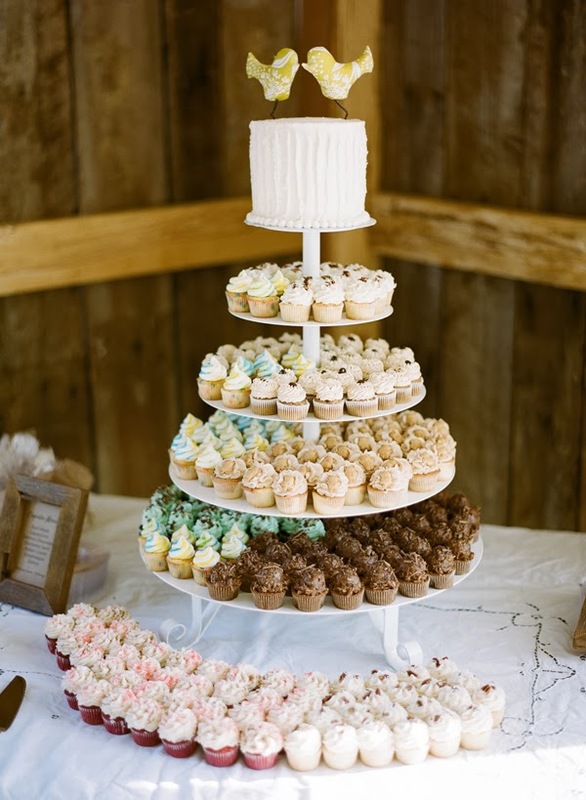 A country western wedding has the advantage of not needing to have a five-star cuisine menu. Often, country-themed food is cheaper in the long run because it is quite simple to do. 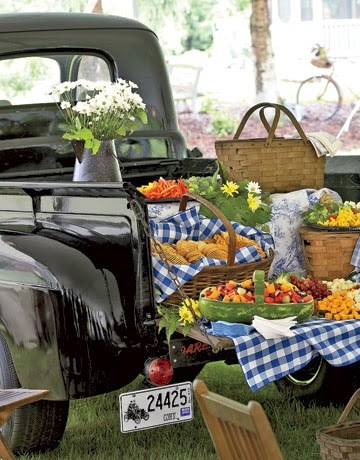 Have buffets of BBQ, pasta salads, fresh fruit, vegetable trays, and even a variety of rolls. Try serving finger sandwiches that are made from smoked meats or pulled pork. Double check with your event center or venue to ensure that you can bring in your own caterer. 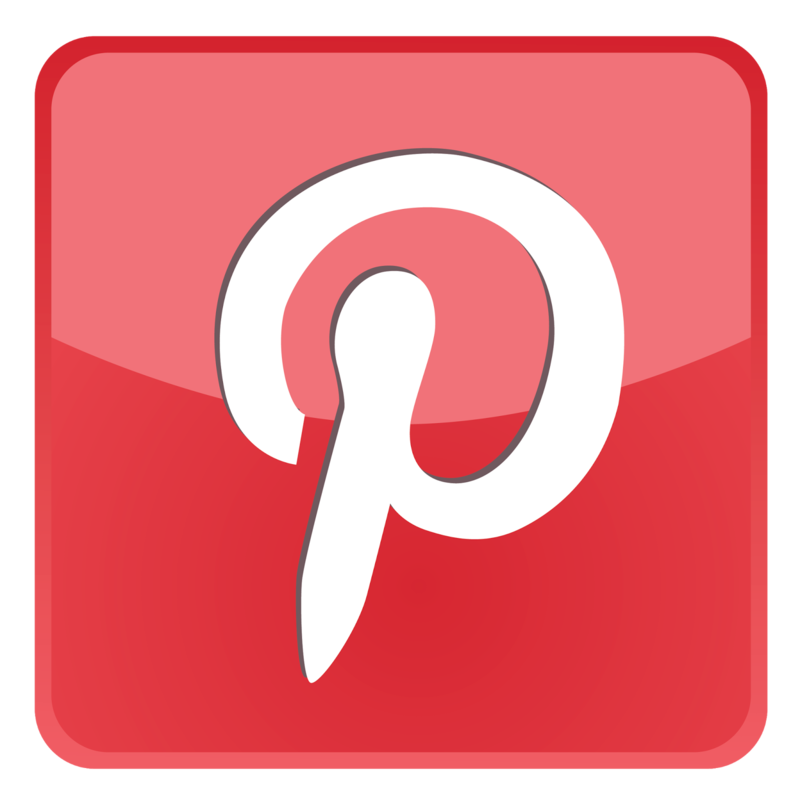 Some centers make you use their caterer and their pre-made menus - whether it fits your theme or not. The wedding cake is often the centerpiece of the reception and will be one of your most memorable photo opportunities. This edible tower should be elegant, tasty, and themed. Have your wedding cake decorator use chocolate fondant and ivory accents. 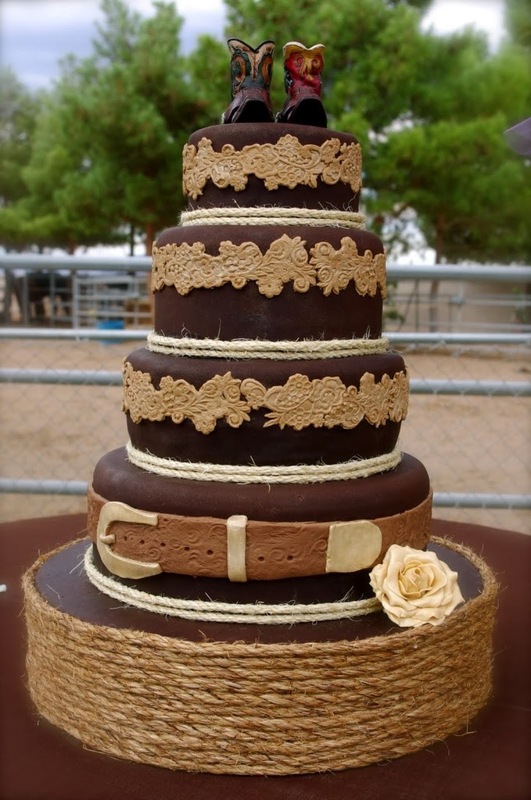 For a more country western-inspired cake you can use ivory or white fondant paired with an edible rope border. Accent the cake with silver and gold stars or horseshoes. Top off your cake with a horseshoe cake topper and decorate the surrounding area of the cake table with hay or flowers. People like to dance at weddings, therefore you need to have suitable music. Have a few good songs that will get everyone on the dance floor, and have some line dancing music with someone to instruct those guests who want to learn. Find a DJ that specializes in blue grass, country or contra music or even find a live band that can play all three.